We had a fantastic three weeks in Cape Code but it was soured by our experience with K-12 virtual schooling. We spent our first week in Falmouth (our new favorite city), then went further out onto the Cape to Brewster for four days and then back to Falmouth for a week. We started off by making the mistake of traveling to Falmouth on the first day of school so that put us behind right away. The first two weeks of virtual school were a frustrating and emotional experience for everyone (except Alexis). K-12 was horrible. We spent most of our time struggling with their crappy website and trying to find the lesson materials in the numerous boxes of stuff they sent us for "virtual school". Alexis did great but Hali cried almost every day doing math and Kira was lost on most subjects besides reading. The kids had to attend boring webinars, unscramble confusing instructions and redo work that was required both offline and online. Cathy was angry, frustrated and frazzled most of these two weeks. We talked a number of times about ending our trip and heading back home. It was that bad. We just couldn't take the stress of K-12. However, we decided to listen to the advice of our K-12 advisor and take a couple of weeks to learn the system. After the initial shock of K-12 it became nearly bearable. 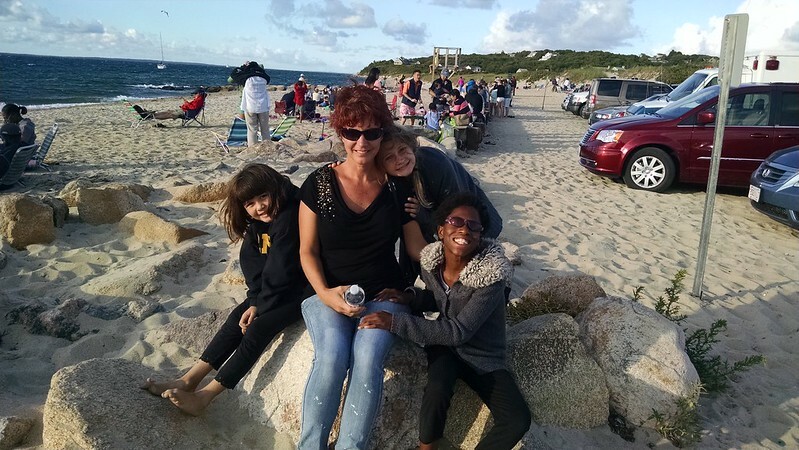 Most of first week at Sippewissett Campground was spent trying to survive K-12. We started school around 8am and didn't finish up till 4/5pm each day. 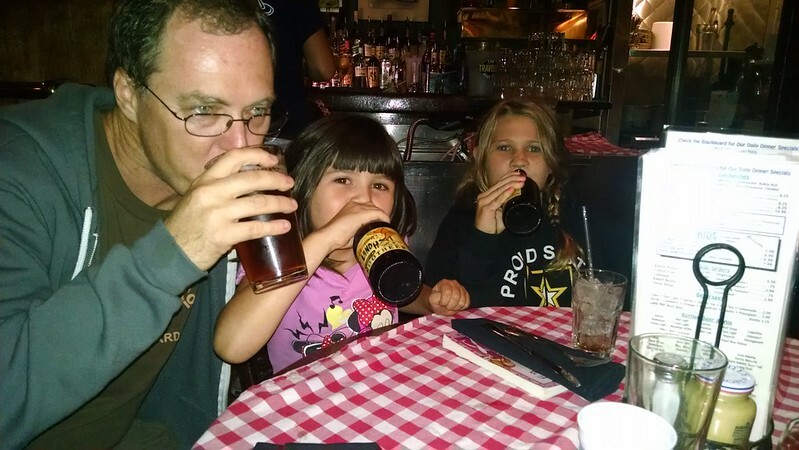 We typically went out for dinner and (multiple) drinks in Woods Hole each night as everyone needed a break from home. 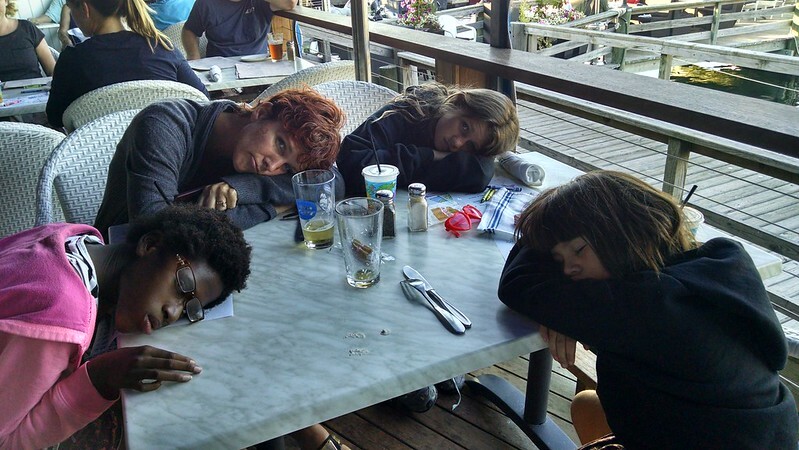 Everyone was exhausted both mentally and physically. The highlight of our time at Sippewissett was the 12 mile bike path at the edge of the campground that went all the way path Falmouth and into Woods Hole. I rode my Tri bike a couple of times in the morning and we hooked up Kira's tagalong bike to Cathy's folding bike. We took a number of trips into Falmouth/Woods Hole to burn off steam. Make sure to watch this great video. Lexi's first real bike trip was Thursday after school and she rode 7.5 miles like a boss! Towards the end of our trip we stopped at Seafood Sam's for a bite to eat as their brilliant marketing department placed a bike rack along the bike path. It was conveniently located about a mile from our campground and had great food and beer so we made it a very frequent stop for lunch, dinner and snacks. After school on Friday, we all dried our tears, took deep breaths and headed an hour down the Cape to Hyannis to check it out. We were not fans of Hyannis at all. It just felt like a large, grungy city; not like our beautiful, quaint Falmouth. We strolled up and down the "downtown", stopped for some ice cream, spent some money at a little arcade and capped off our stay with some appetizers and beer. Not impressed at all. We got up early Saturday and caught the 10:30am Ferry to Martha's Vineyard! What a great time!! The Ferry ride was fun and we talked with a family that had adopted two little black girls and were heading to their mother's house on the island. We arrived in Vineyard Haven and purchased tickets to take the bus around the island. Our first stop was the city of Oak Bluff only a few minutes away. It had a nice little downtown and there were signs all over welcoming the Obamas (they had just left the island the day before). Our goal was to visit the Gingerbread Houses but first we wandered around the entire town (took all of 20 minutes! ), down by the water and then headed for lunch. I found the local brewery, Offshore Ale Company, and we stopped a bite. The food, beer and atmosphere was fantastic! I could have stayed there all day but I had to appease the girls with tiny houses. So off we went again in search of the famed "Gingerbread Houses". There were actually quite awesome with blocks and blocks of tiny, quirky, brightly painted houses. We had a blast walking down the narrow streets and talking with the owners. After wandering around for awhile we hopped on the bus and headed to Menemsha on the southern part of the island to watch the sunset on the beach. There wasn't much to Menemsha; a couple of tourist shops, one overpriced restaurant and a working fishing dock. We thought about buying some seafood at one of the local fishing shops (the lobsters were the size of small children!) but it was too cold to eat outside. We ended up at the overpriced, BYOB restaurant. The highlight of the evening was watching the girls play on the rocks at the beach and watching the sun set. Interesting side-note, people in Mass clap during the setting sun the same as they do in Sarasota. Perhaps... it's their clapping that actually makes the sun set and not the other way around? Afterwards we boarded the various buses to take us back to the Ferry and made the hour ride back to Woods Hole. We had taken the campground shuttle to the Ferry that morning and intended to simply catch a cab back to the campground. However, when we arrived back on the mainland, there were no taxis to be found. We ended up waiting about 45 minutes in the cold for a cab to arrive. Nevertheless, we ended up pouring three very tired girls into bed late. Since everyone was tired from Martha's Vineyard, we stay around the campground Sunday doing chores and getting ready for school the next day. We did hook up the bikes and ride into Falmouth to our favorite Irish pub (Liam Maguire's) for lunch. A lazy day but a good time to recharge before our move down the Cape to Brewster the next day. Monday we left Sippewissett and headed an hour down the Cape to Sweetwater Forest Campground. We lucked out with a double-sized spot, in range of the wifi and in the middle of the forest. Beautiful campground! We spent the rest of the day plodding through K-12 and then headed into Orleans (the little city next door) to see what there was to do. We ended up stopping at the Land Ho! pub & restaurant which was very popular with locals and tourists, even in the off season. 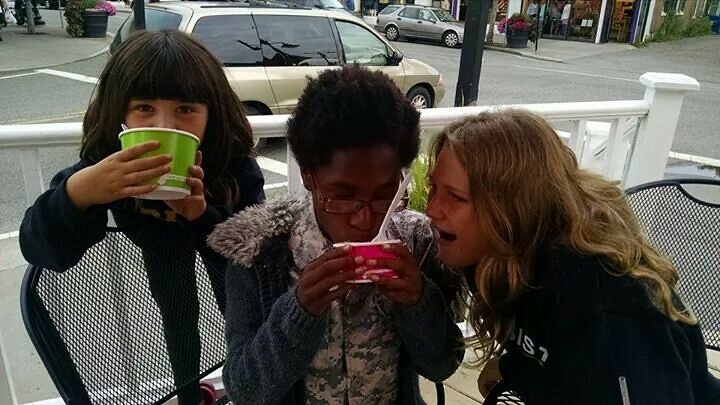 We waited outside for about 30 minutes and the girls made friends with an elderly black couple. We ended up sitting next to them for dinner and the girls told them our story. All of it. 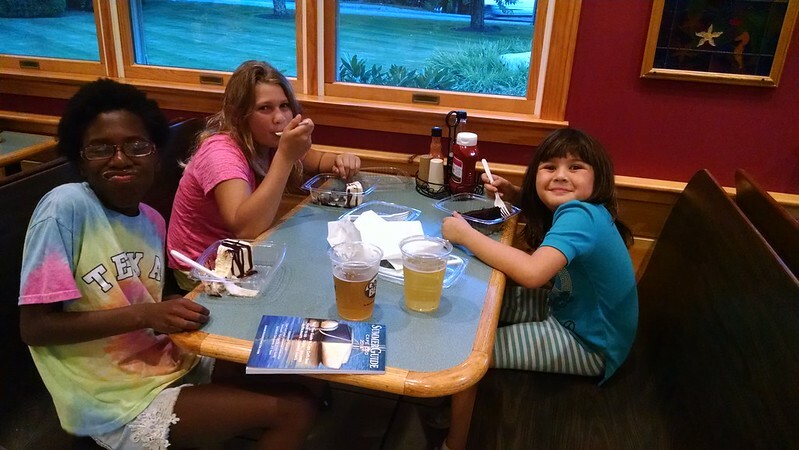 They loved the girls so much that they bought each one of them dessert! We ended up going back to Land Ho! a couple of times (again breaking our "only eat at a place once" rule) for the beer and Kale soup (#awesome!!). School as usual Tuesday, and then Wednesday we left mid-afternoon and drove an hour out to the very end of the Cape to Provincetown. It was "fabuuuullooouus"! 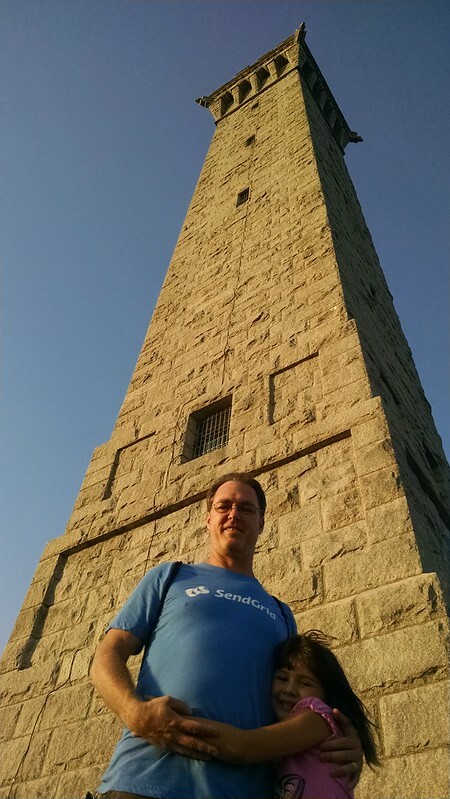 We wandered around the pier and eventually made our way to the Pilgrim Monument to learn about the history of the city and it's impact as the whaling capital of New England. Afterwards it was dinner time and we got suckered into a poor choice for dinner on the water. Friday we packed up and headed back to Sippewissett. Cathy was flying back to Sarasota on Tuesday for doctor's appointments with Kira and Hali and I wanted to be somewhere familiar so I wouldn't have to work, teach Lexi and figure out what was going on around me. 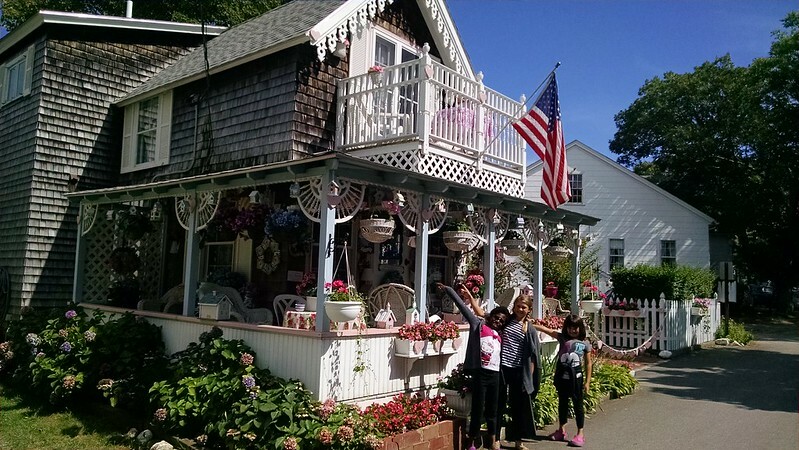 Plus, we absolutely love the location and people at Sippewissett!! Saturday and Sunday were spent hanging around the campsite and riding bikes into Falmouth a number of times. 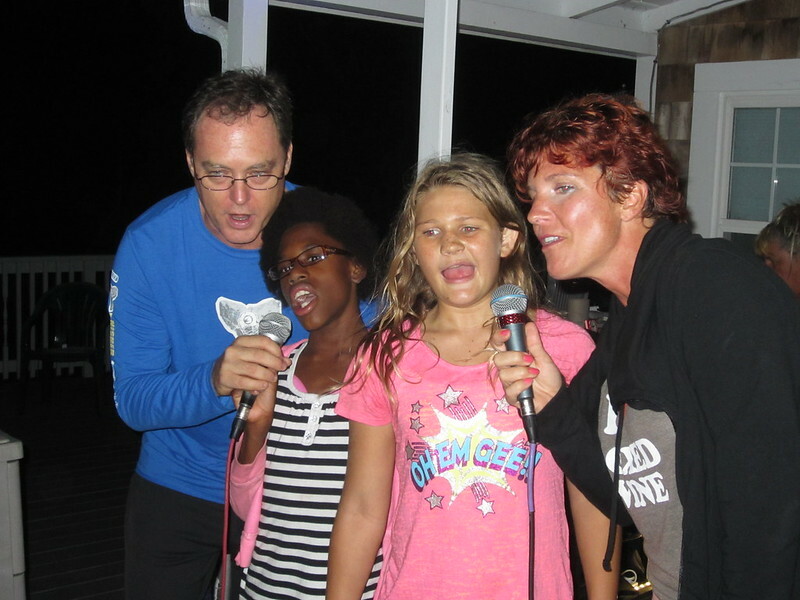 The campground had their annual Labor Day party Sunday evening complete with karaoke. There were plenty of little girls running around the campground so they were having a blast singing together in groups. Alexis was the first to step up and sing by herself! She definitely loves the spotlight and ended up singing a number of times. Hali and Kira even sang as part of a group for a couple of songs! We were told by the owners that Cathy and I did the best rendition of "Love Shack" they had ever heard. No surprise there. Monday was Labor Day and Cathy and the girls were flying out of Boston early the next morning. We found a hotel near the airport and everyone was excited to spend the night in a real bed!! We just laid around the room watching TV and eating pizza. I even went out and got a massage! 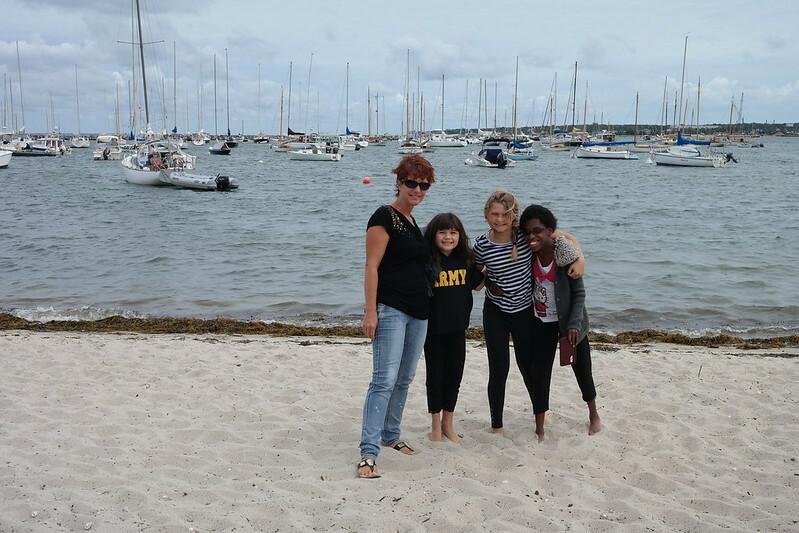 We got up at 5am the next morning and dropped the girls off at the airport and then Lexi and I headed back to Falmouth. Not a bad trip as we missed most of the traffic. Lexi and I ate out most of the time (actually all the time) and just hung out together. We watched a lot of movies, went to the playground and did our various jobs. On Friday, Lexi helped me pack up and we headed to our next site Foxborough, MA! Cathy spent her time in Sarasota staying with Mike and Gena. Most of her days were spent at Doctor's appointments, doing school work in random locations and visiting family and friends.